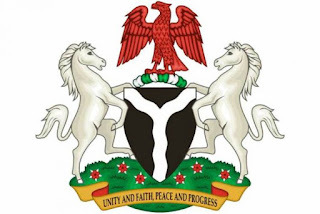 The Federal Ministry of Agriculture in collaboration with the Nigeria Agricultural Quarantine Service has commenced training of farmers from 10 states for production of quality and safe beans for export. A Director at NAQS, Dr Maimuna Abdullahi, disclosed this on Monday in Kano at a One-Day sensitization workshop on Good Agricultural practice. She said that the workshop was aimed at sensitising farmers to be able to practice good farming process earlier before time. According to her, such process include the preparation of the land on time to ensure that they have good seeds, use right pesticides or herbicides at the right time. Abdullahi called on farmers across the states to make sure they harvest their beans, cowpea on time, dry and store them properly before export. In his remarks, the Chairman, Kano State chapter, Nigeria Association of Beans Farmers, Alhaji Bashir Bataiya, commended NAQS for the sensitization Programme. Speaking on the programme, one of the participants from Katsina State, Alhaji Sani Isa, said the training would assist them to understand modern way of processing beans for exportation. Isa said: “During the training, we learned a lot on the process of cultivating, storing and Processing of cowpea for export to European and other foreign countries. It was learnt that the participants were drawn from 10 states including Kano, Jigawa, Yobe, Borno, Niger, Oyo, Lagos, Gombe and Katsina.